One of the truths about being a book lover in Australia is that books here are expensive, so I thought it would be interesting to do a comparison of the price for a specific book. This post is also doubling up as a Currently Reading post, because I did actually start reading this book on Friday. 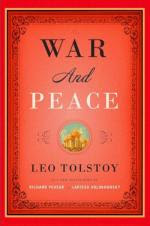 Yes, I am 2% of the way through War and Peace by Tolstoy! I signed up for the Classics Circuit (White Nights on the Neva: Imperial Russian Literature tour)and my post is due on 15 July 2010, although I was very clear when signing up that it was more likely to be a progress post rather than a review as such. Originally I borrowed the book from the library, but then I realised that there was no way I would be able to get through it and read other books as well, so I decided to buy it. So my comparison basis for this exercise was that it was the same translator, and I was only looking at the paperback copy of the novel. All the sources are also the online stores, I haven't actually moved from my chair to do this comparison. The cover on the left is the US cover and the one on the right is the UK cover. All prices are in Australian dollars, and were based on the exchange rate the day that I did the comparisons (so may have changed a little since then). One other thing that probably needs to be taken into consideration is that fact that ordering online means that you can't have that instant gratification. There are still days when I will go to the book store and buy a book, but generally I will either get it from the library or I will order it from overseas.The shipping cost for Amazon was for Standard International Shipping (averages 18-32 days), but there are faster shipping options available but they cost more. In my experience I generally get orders from the UK Book Depository within a week or so of ordering. The final factor is that often there are books that I see mentioned around blogs that I really want to read, that just never make it into the stores here, so by buying from overseas means that I get access to a lot of those books. It seems ridiculous really that it costs me significantly more to buy from an Australian bookstore than it does to buy a book from the UK or the US, but that's the way it has consistently proven to be for this Australian book buyer. I would love to be supporting Aussie business, but when the prices are not really even competitive it is hard to do that. It's the same with NZ book prices. I was shocked when I saw the prices at kiwi bookstores. I haven't explored any NZ-based online book retailers, but the bricks-and-mortar ones have prohibitively high price points. I'd like to support the local stores, but it just doesn't make sense when I can get the same book from the Book Depository for a third of the price. Marg - That does seem a bit odd, unless you consider that the Australian bookstores have to pay the same shipping costs to receive books as you do to purchase books from overseas. In order to cover their costs, they need to mark up the books appropriately, which means that the same book from the UK or the US does cost more in Australia. By purchasing directly, you have eliminated the middleman (Australian bookstores). Those bookstores are looking to entice those readers who are hesitant to shop around or are looking for the instant gratification of shopping in-store. If everyone were to follow your lead, I can guarantee that the Australian bookstores would change their marketing/pricing. Im the same as you. The only way to buy books in Australia is second hand or from overseas or ebay. My only exception to this rule is that I try to buy Australian books brand new. That way I still save money, but I support the AUstralian book industry and Australian authors. That's my little compromise. Same here in NZ like Memory said. Looked at a book in local store last night and was NZ$24.95 (actually relatively cheap) but I can get it from Book Depository for UKP6.00. So if I buy it, I'll be getting it from there, not locally. Which is sad, but a fact of life. I also read a lot of ebooks, which does give the instant gratification at overseas prices, which is nice. New Whitcoulls ebookstore seems to vary between ridiculous and reasonable. I'm sorry I'm not supporting NZ bookstores, but they're not exactly going out of their way to attract my custom. I'd like to support the local stores, but it just doesn't make sense when I can get the same book from the Book Depository for a third of the price. Michelle, if the mark up was a couple of dollars per book, or perhaps even $5 I could live it because, you are right, they do have the additional cost of importing. However, when that mark up is double the cost of buying the book as it is in this case, there is something wrong. Becky, that's a fair enough compromise. I must confess that if I buy a book here I tend to do so through Big W or Kmart rather than the bookstore chains. Kerry, some times I wonder if it is that they think that customers don't realise that there are other options out there and so they can continue to get away with this high level of pricing. I'm in the same boat Marg - I simply could not afford to buy the number of books that I do buy if my only option was Australian retail stores. If it weren't for book depository I'd be reading less or using the library. Like Becky I do try to buy Australian authors in Australian stores - but even then I feel ripped off because paying $33 for a book versus $10-15 for the same thing from Book Depository is plain annoying. I think it's got to do with the territorial copyright deals that publishers do rather than 'cutting out the middle man' - that was certainly what I gleaned when I read everything I could get my hands on when the Senate was considering getting rid of territorial copyright restrictions last year - I read stuff from people on both sides of the argument and while I could see the point of view of local authors I'm afraid I'm just not prepared to subsidize them to the extent that is currently happening. I know it doesn't make it any easier for them to make a living at their chosen job, but $33 a book for the 130+ books I read each year is simply beyond my budget. Great post Marg! Before I discovered Book Depository I used to jealously stare at the US/UK book prices. I buy so many more books now that I use BD. My limited understanding of the problem is that our parallel importing laws mean that if a book is available from a publisher or distributor in Australia or something it's illegal for the bookseller to import the product from overseas even if it's cheaper. I think. Not completely sure on that but it's my vague memory of the subject from when I did an intellectual property law class. I guess as more and more readers turn to cheaper online stores these regulations may become useless anyway. I know exactly what you mean Mel! The idea of a package containing a book whereever you get it from gives me a little thrill too. Coffeestainedpages, yes, a lot of it is to do with parallel import laws, ,which I gather is meant to protect Australian publishers and authors. Only people who lose out really is the readers. Bernadette, a while ago now, my local librarian asked me if I knew how many items I have borrowed from them over the years. The answer was more than $1000. Even using a very conservative estimate of $20 per item, that means that I have saved more than $20000 in less than six years. No wonder I use the library so much. I can't afford to maintain my habit otherwise. I personally buy all my books through UK online stores. Book prizes in the Netherlands are very high, especially if you want to read books in Dutch. This is one, but not the main, reason why I read in English. I still save up to 50% on books ordering them online. It is amazing to me how books (or CD's for that matter) can be shipped half way around the world and still be cheaper than buying it around the corner, or online through Dutch sites. It makes me wonder what book prizes will be like in 10 years. Surely, more and more people will start to realise that in many countries prizes are too high and will resort to buying online? Yes, I'm a UK Book Depository convert too Marg. I too feel bad about not supporting Aussie book retail but it would just be silly to pay twice as much or more for a book when it can arrive on your doorstep in just a week or so. Since I discovered BD a while back I've been telling all my friends and at first they simply couldn't believe how cheap it was, but now they are all converts too! I think the word simply hasn't got out to the broader community yet... we'll just have to wait and see how the Aussie book retailers eventually respond. Perhaps the effect is currently being disguised by general retail downturn? Book Lover Book Reviews I've converted so many people to BD too. One of my friends works at Borders, and I introduced her to BD and now she shops there because even with her staff discount Borders is still more expensive. Kind of ridiculous. Yes, I've converted quite a few people too! How crazy that it is still cheaper with staff discount to shop online! Marg I have only recently been converted to the Book Depository but before that Amazon was my major supplier. Yes I am sorry that I don't support local business but the price advantage of offshore purchases is more than just marginal. It just doesn't make sense to shop locally. That is ridiculous how big the price differences are! And I thought Canada vs USA was bad, I will never complain about it again! That was an intriguing post. I had no idea! I have been ordering from Amazon a lot lately...but sometimes I get books on the bargain table at B & N.
I have noticed the same thing here in Ireland. I get a few prices and then i promptly order from my local Hughes and Hughes, which has just reopened! The other well known bookstore here is i think living on reputation,magazines,newspapers and stationery! (Getting very library like. )I'm nearly on first name terms with the staff in Hughes and Hughes been going there since they first opened. 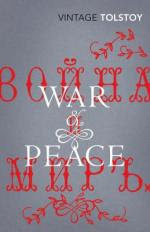 Good for you in reading War & Peace--I am so intimidated by that book! I can't believe how expensive books are in Australia! Well, I always enjoy reading your posts, so as a 'thank you'...if you ever see a book on my blog that you'd like to read, let me know and I will ship you my personal copy (no charge)! When I used to stay in India, I had the same problem. Books I really wanted to read were either costly or just not available there. It was so annoying. After moving to the US though, I've felt better. But some day I plan to move back to India, and then again this problem will come up. I'm guessing the Austrailan bookstores pay the high shipping fees and must pass them on to the customer. How else could they stay in business unless they get killer deals on the books themselves. Big stores and chains can spread that cost around. It's really a shame. How does your local library handle purchasing new books? It must be tough for them also. Jenny, the two examples I mentioned are two of the bigger book chains in Australia. I think I could understand if the difference was two or three dollars per book, but when the difference is $23 per book, I would suggest that something other than shipping fees is at play here. My library actually gets quite a few new releases through from overseas so their supplier must be bringing them in and charging them accordingly. Aths, when you do move back to India hopefully Book Depository will have added it to the list for free delivery. They will still deliver there but you will have to pay postage. Michele, I don't like to ask people to send from the US or other places, because the postage is expensive. I do always make a note to say thanks to anyone who makes their contests international for that exact reason. Thanks for the offer Cortney. I might just take you up on that one day if there is something that I am desperate to read. Reviewsbylola, I was a bit intimidated even though I have previously read Anna Karenina, but so far it is good. Marshalslion, I would love to have a bookstore that I could go to and chat to the staff and have them know me. I would be willing to pay a bit extra for that kind of service! Laurel, I used to buy from the 3 for 2 table at Borders, but I don't think I have read all 3 books from the last time I did that which is a good couple of years ago now! I ended up buying a couple of books that I really wanted and another book that I was kind of interested in, but not desperate to have. Amy, I knew there was a big difference, but I was a bit surprised by how big a difference it really was. Livemorenow, I would be happy to pay an extra couple of dollars to buy books here to allow for extra shipping etc, but you are right, the difference isn't marginal and so it doesn't make sense to shop here all the time. I agree. It makes it very hard to buy locally. I still buy second hand books but less so because the prices are usually equal or less than the price on book depository. When I discovered BD I thought there was a catch, a gimmick but I'm so impressed. Their customer service is good too and I thin it's quicker for their books to arrive than something from Borders. I bought from Borders Online once and it took nearly two weeks. I can't believe how expensive it is for you to order books! It sounds like the book depository is great not only for the prices, but for the fast shipping as well. I guess I have always just taken cheap book prices for granted where I'm at. I should really be more thankful about that!